"I Spend Too Little Time On Social Media"...Said No One Ever! It seems I haven’t had any great epiphanies, life-altering moments, brainstorms or stories (except for the pleasantly demented patient suggesting that I move my Botox appointment to earlier because I really needed it) to draw from. Likely this is because I haven’t been hitting the pavement except for a few miles a few times per week – likely because I’ve lost my focus for the moment, my drive. Not sure why this is…maybe tired, maybe lazy, maybe lack of a goal race – who knows, but it is resulting in lack of creativity and a lot more coffee drinking. This morning, as I’m drinking my 3rd cup of coffee, scrolling through social media, I realize how regretful and unhappy it actually makes me! It stirs up emotions I would rather keep suppressed, but yet I keep scrolling. I originally joined FaceBook to keep up with friends, reconnect and stay in-the-know but now it’s a love/hate relationship! I love connecting with people who have crossed my path in the past, however my past wasn’t always pretty or fun or nice or filled with good decisions. It stirs up the emotion of regret, wishing I could go back, wishing I could put out a world-wide apology for my behaviors in the past, stating “I just wish I would have been the me I am now then.” It sometimes stirs feelings of jealous wishing I had something to brag or share about my daughter. It sometimes stirs feelings of envy wanting that great trip or exciting moment pictured in a post. Sometimes it simply creates sadness at the political turmoil and unrest in society. Sometimes I laugh and smile needing some of the great videos and uplifting comments. It’s a roller-coaster of emotions when I enter the home page on FaceBook! I want off the ride but somehow I just can’t get off! Social media can boost businesses, reach the masses and offer wide-reaching needs (Gofund me is astounding)! It allows for personalization, celebrations and consolations. Then I realized THIS was my life-lesson! It’s an oldie but goodie…I can’t allow anyone or anything to decide my happiness. The success of my life cannot be quantified by human measurements. This will only lead to feelings of inadequacy, anger or fear. Now this is where the lesson hits home… but I need regrets, I need wrong decisions, I need unhappy moments, I need struggles. These things mold me; they make me search for answers and for a hope that I can’t find anywhere else. These things keep me sharp, noncomplacent and truly grateful for all the blessings, big or small. It definitely keeps me humble, probably the biggest reward of them all. Pride can steal your joy, create lies and take your focus off the purpose of this life. So thank you social media for stirring up unwanted emotions! Thank you for forcing me to open my Bible and seek God when I need answers for so much political unrest and sadness. Thank you for forcing me to pray for my attitude and a renewal in my spirit. Thank you for continually reminding me of the freedoms of this country to post on social media. Initially after a few sleepless nights I was going to change the face of social media by beginning to post some of the ugly things in life, not just perfect joyful moments but then I had coffee and decided against that and went with a blog post instead! Take this opportunity to throw out your old measuring tape and start measuring your successes with a different ruler, a different perspective. I hope that we can step back and find joy in the successes of others, relish in our small blessings that aren’t always social media worthy and remain focused on our true purpose in this life – living a life that is filled with the compassion that Jesus exampled for us with the true measure being that our life was lived with intent and eyes fixed on Heaven! Now go post something on FaceBook that makes me hysterically laugh out loud or quietly mumble “bless their heart”! 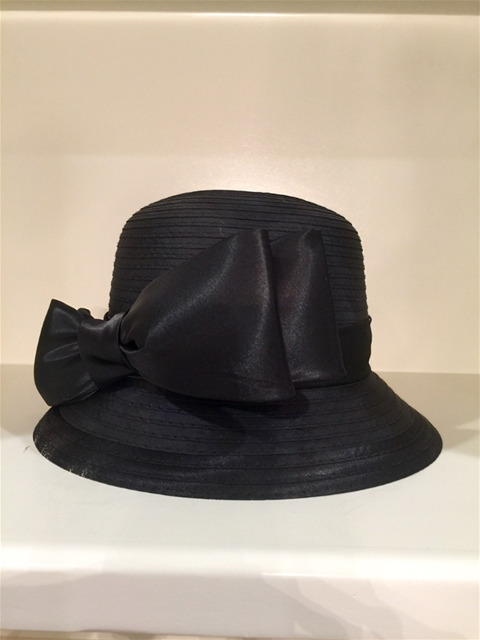 A few Sundays ago I came out into the kitchen ready to leave for church in what I perceived as an adorable church outfit composed of my black A-line dress and black hat with big satin bow around the edge of the rim! Mike put his coffee cup down slowly and simply said “Are you wearing that hat this morning”? I was perplexed by his question thinking, “I walked out here, dressed and obviously ready to go”. So I simply answered “yes” as I blinked my eyes and tilted my head. He then went on to say “Maybe not the hat just yet. Sonya, these people don’t really know you yet”. Now I’m a little offended – “So? I wear this stuff all the time. What is different now”? Mike exasperated and truly feeling desperate to change my mind states “I just want people to get to know you and not have a first impression when you show up in that hat”. So in order to make Mike feel comfortable, I went back into the bedroom and took off the hat AND the dress because it was a coordinating outfit. I reappeared in my fluffy, black tulle skirt…ready to leave for church. Mike just simply picked up the cars keys, smiled and told me I looked beautiful! I’ve thought about this for a few weeks and how we find it so easy to place a title or judgment on people simply based on a first impression or their “hat”. This isn’t a new revelation – people know that this happens all the time! But let’s take it a step further. We “judge” based on peoples’ outward “mistakes” or bad decisions – they are forever labeled because of one humanly flawed moment. I was that person once, as an unwed mother. I was treated differently, made to feel ashamed, made to feel less of a person and constantly judged when I appeared with a baby and no wedding ring! It was hard enough as a single mother but then I was always living in shame and regret. Then one day I walked through the doors of Homewood Church of Christ and those women loved me. I experienced first-hand the love of Christ through a human being and I finally got it! I really understood unconditional love – loving the person despite the label they may be wearing. God took a bad decision and used that to bring me to Him. For the first time in my life I fell to my knees, prayed to God and found my relationship with Him. The birth of my daughter to some may appear as an overwhelming mistake, but ironically it was the catalyst to truly seek and find God (all the details of my testimony can be found under the "Our Story" tab). We find it very easy to pass judgment on those with obvious transgressions but what about the liar or the gossip or the cheater? How would you feel if you were made to wear a giant “G” for gossiper or giant “L” for liar on your shirt for months? Some can hide their bad choices others cannot. In the world of small business, first impressions can literally make or break the business. A bad first experience or mediocre customer service can create a domino effect of spreading through the community from a single customer review. Unfortunately every business relies on employees who also have “stuff “going on in life – a single bad day or “funny hat” may simply be an off day for that employee, so I urge everyone to continue to support local businesses and not to let one bad experience squash the enthusiasm for the store (we have perfect employees so I’m sure this has never happened in our store! LOL)! No matter what hat someone shows up wearing, try to see past that – some people are wearing battle scars and they just need acceptance and someone to love them. We all walked a road with broken stones and paths, but those experiences developed our character and shaped us. Life can throw you a curve ball at any moment based on one bad decision – don’t let that define you or define others by that moment. Wear your hat…this can be your testimony or your light! Use your downfalls and trials to truly show others that God is in control and redemption can be found in the most unlikely situations. Love is a powerful catalyst and when you truly love the person wearing the hat, unimaginable things can happen! As a runner, you are always in a competition with yourself to try something different or bigger or faster! This can lead to some great adventures and/or significant pain! I always register for each marathon with such excitement thinking, “This will be my best one yet”! I have lost sight of the pain I felt at the finish line of the previous marathon. So here I am, just a few days out from my next adventure! It was shortly after I signed up for my marathon in January, that someone “peer-pressured” me into registering for a 50K! 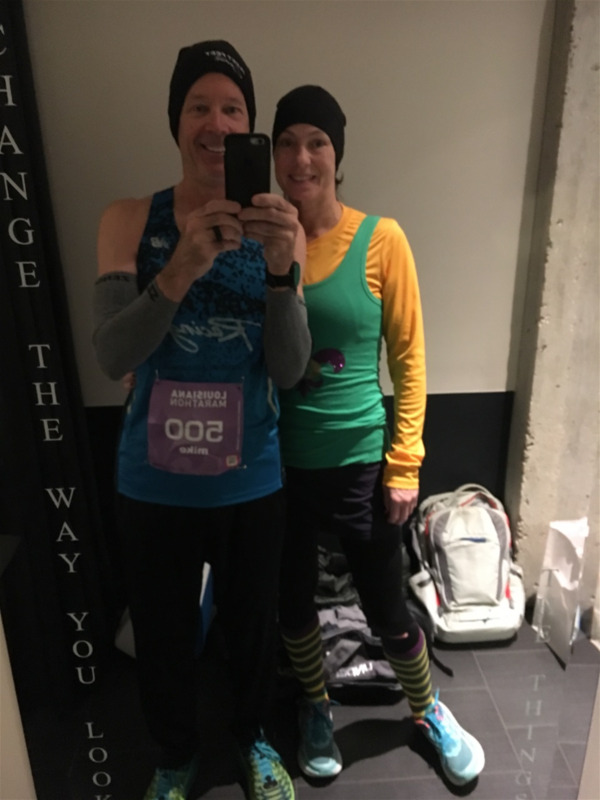 It was made to sound so logical and reasonable – I will have already put in the training for a marathon, so it would be the perfect time to take the 50K off my bucket list! So I thought, “Yes! You are so right, I am so excited!” As the time for the race approached, I began to question my sanity and my legs began to question my sanity, as they have been constantly sore for about 4 weeks now. Then I wondered exactly how I would finish this race when my only motivate was to just finish, there was no deeper purpose than a bucket list check-off. One day while I was running (of course, most great thoughts occur on the pavement!) and listening to a great song on my Ipod, I realized I had 5 hours to do something powerful. I could release the power of prayer over my daughter for 5 hours! I humbly approached friends and family and boldly asked them to take 15-minute increments and pray for my daughter the entire time I was out there running. This is how I will finish- I will be made strong through weakness. My legs will be tired, but knowing that my daughter is being prayed over by friends and family throughout several states, will give me the strength to finish this race. It will likely be the most fulfilling race I will ever run – at my weakest, I will feel my strongest. 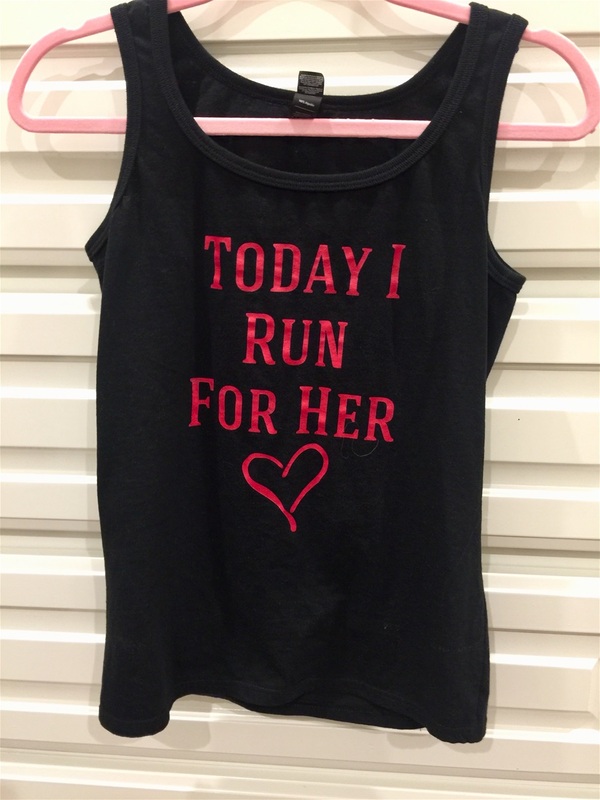 Running a small business is very much like the marathon. It requires letting go of prideful ambition and feeling a sense of “weakness” in that you live day to day, unsure how the months totals will look in the end. It builds character and faith, forcing you to pray daily (sometimes multiple times per day) and asking God to use your life and business for Him. This is often a challenge, when cutting corners or being “cut-throat” would give you an edge, but then you remember that God will provide if you just always put Him first. Our business is stronger when we are “weaker”, meaning allowing God to be our CEO, being the best employee that we can with what He has blessed us with. 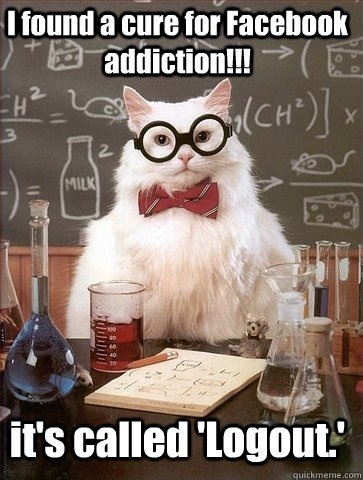 Addiction is certainly like a marathon – maybe more like an ultra marathon! The addict fights demons every minute of every day. The demons lurk around, just waiting for an opportunity for you to slip-up or feel defeated, then move in to have you dance with them again. At their weakest, the addict can become their strongest when they realize the power they possess by choosing sobriety! An addict’s family can also be at their strongest in the weakest moment because this is where true faith shows itself – on your knees, humbled before God. Weakness is often seen as a deficit or a bad characteristic to possess, but I say weakness can lead to the greatest strength! God has a way of using strange means to achieve His perfect plan. Life in our house now rejoices in a weak moment because it is there that we truly must dig deep. We have always gained a new sense of strength when we have been forced to hit our knees. Don’t let a sense of weakness or a difficult time swallow you up – instead embrace the challenge to be broken gracefully. You will be made stronger through brokenness. God’s perfect timing and perfect plan will show you just how marvelous that moment of weakness really was! Louisiana Marathon 2018: The temperature was less than delightful but crossing that finish line never gets old! Well, I’m finally back at it! Could cause excitement or could cause distress...LoL! I can only sum up the last few months with one word- WHEW! Over the last 2 months, we have moved into our house, enjoyed 2 holidays with my family, ran a couple of great races and endured a snow day! During all this I was required to make several trips to Target and fight off “Target Syndrome”. I’ve given it a name because it is very similar to a disease or illness. Every time I know I’m going to Target I make a list – a specific list, not a generalized list which might say laundry products, but specific: laundry detergent and dryer sheets. I then drive to the store, find a parking spot and give myself the same talk. “Sonya, stay focused on your list. 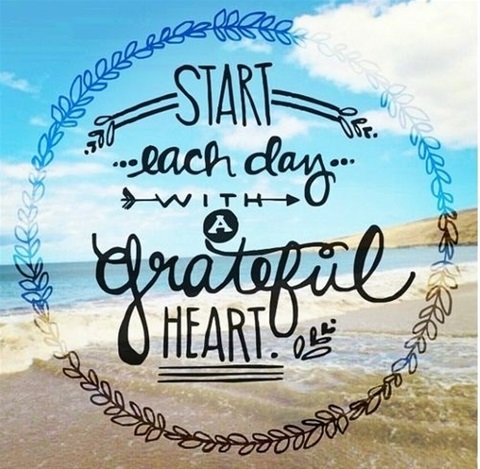 You don’t need anything else except what is on your list. You can do it this time – you can go in for 5 items and leave with 5 items – you’ve got this!” At this point I’m prepped and ready to enter the store! Initially I stay quite focused headed to the laundry supply aisle, but to get there I had to pass the cute stationary and there it is… the cutest desk organizer that would look much better than the desk organizer I already have AND it's only $12.99! I then fight the desire and tell myself, no matter the price, I don’t need that! I continue to head for the supplies on my list. Then I see the cutest lantern that would look perfect in front of the fireplace along with a new tablecloth because mine is older, the colors are not the best match to the new house AND it’s on sale! I put it in my buggy and it’s the beginning of the end! I finally get the items on my list and head to checkout. Needed 5 items and leaving with 10-15 items that I really don’t need. I load the car, start to drive home and then the buyer’s remorse sets in! I didn’t need all that stuff! Why did I buy those things? I have everything I need right now- why do I let that store create a sense on discontent and need for stuff? The Target Syndrome can be applied to so many areas of life when we walk around feeling discontent because we spend so much time comparing to others, trying to obtain stuff, and impress. This is a hard concept that I continue to struggle with however God knew this was one of my weaknesses and with this move opened my eyes to realize that I have everything I NEED and more! He stretched me, grew me and brought me closer to the greater purpose of life. It’s not stuff, but it is a relationship with Christ and crossing the ultimate finish line with Him cheering me on. When I’m 80, I won’t even remember that tablecloth, throw pillow or cute Ted Baker dress (well, maybe the dress!) but instead I will likely review how I lived, the way I treated people and how I used my time on this Earth – will I be content with the life I tried to live or will I have regrets that I was always chasing something with no value? We are loving our new path in life for so many reasons but I think we have really started to appreciate our new road when we finally felt a sense of contentment – a joy that was found in being near family, meeting new friends that possess humility and a love for people and trying to make a conscious effort everyday to live a life with purpose. We struggled daily to live with a deeper purpose in all areas of our life and to live with true faith but we feel God provided us with a “do-over” – running a business, managing finances, making friends and dealing with addiction. When you really think about the grace and the freedom God has given, pray often and completely trust then you see life through different glasses. Ultimately, when this life ends, as a believer, we will all sit around the same table with the same God – rich, poor, liars, thieves, gossipers, moms, dads, addicts, great leaders in the Bible – all sinners, but all the same: saved! My daughter may not live the life I think is successful here on Earth and the demon of addiction may seem to be winning but I have an eternal hope that God will have her sitting at the table with me for eternity – what’s better? So the next time you start to feel discontent, wonder what you are missing or just sad because you just want “an easier, happier” life, remember it’s not the “stuff “ in life that matters – it’s getting to the finish line and sitting around the table with God with no sorrow, sadness, pain or imperfection – it’s the perfect life at the perfect table! Living life with eyes set on a goal…finding the purpose of everyday living allows you to get through those rough, stressful and less-than-perfect seasons of life with an uncanny sense of joy, because you know what the final lap holds! Living in Florida had many perks, with one being only a two-hour car ride away from Disney! We had season passes for many years when the kids were living at home. Saturday mornings were always known to include a spontaneous trip to Disney! Magic Kingdom was always my favorite of the 4 theme parks, simply because of the atmosphere and the candy store! 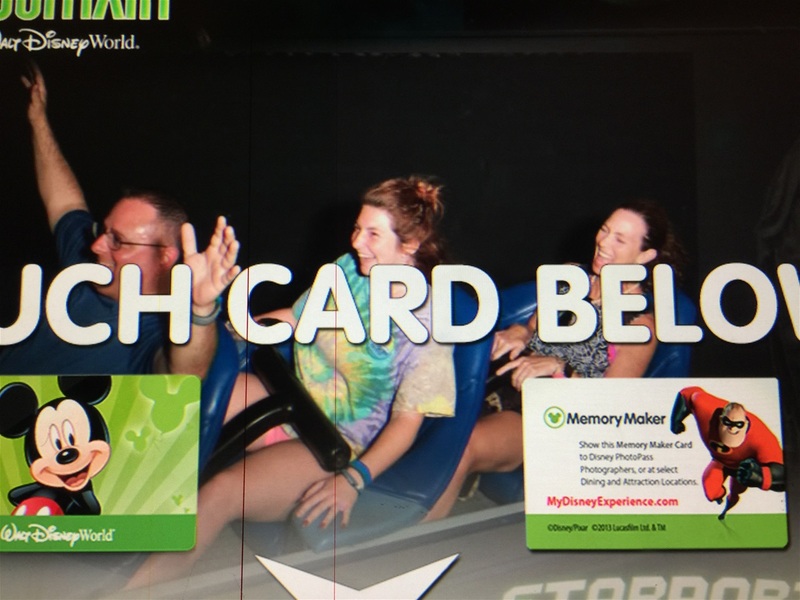 I’m not a huge fan of roller coasters so Magic Kingdom had a variety of rides that I could truly enjoy without causing a near heart attack…except one – Space Mountain. Every trip to Magic Kingdom I would once again get in line for the roller coaster in the dark! I wait with everyone-laughing, talking and having a great time anticipating the FUN ride that was just minutes away! I would excitedly get on the ride and in about 10 seconds of the ride starting I would find myself screaming at the top of my lungs “WAIT, I CHANGED MY MIND! PLEASE LET ME OFF!” The next 2 minutes would be filled with intermittent screaming, crying and yelling “PLEASE MAKE IT STOP!” The ride would come to an end and I would exit with mascara running all over my face, hair sticking up and vowing to never step foot on that ride again. Every time I got off the ride, people around me would be laughing hysterically and a few times even thought I was planted on the ride by Disney to add to the entertainment factor! It would take a while to recover from the trauma of the ride and the rest of the day would be spent mostly eating! Then in a couple of months, when we returned to Disney I would find myself right back in the Space Mountain line smiling with excitement and anticipation of getting on the ride…and yep, 10 seconds later regretting my decision! This first few weeks in Monroe have felt like riding on Space Mountain! Some days I have no doubt that this move was meant for us and I’m ready for the excitement of the ride, then other days, when I’m on the ride, I’m crying and screaming to get off! Life is funny this way – so many blessings get hidden in the doubt and selfishness of living with misconstrued priorities. Life here is definitely different but there are so many blessings that have already been dropped in our lap that God used to help us realize this is His plan for our lives and to stay on the ride! Running a small business also feels like Space Mountain some days – riding the ups and downs in the dark hoping to get to the exit in one piece! But what I have realized, is that actually finding success in business is rather quite simple and can be whittled down to two very simple concepts: kindness and customer service! When you walk into our store and meet Mike, within minutes it’s clear that your business is appreciated, you will be treated as an individual and that there is a passion behind the product! Being small business owners, we have decided that we will always try to buy local, offering support to others in our same boat (or on the same ride!). In doing this the importance of respect, kindness and love for people becomes much clearer – it’s such a disappointment to be treated as a dollar sign, as just another customer. Products we buy can usually be found many other places, but I encourage you to always shop local, especially if the customer service is backed by integrity and a passion for the product – I promise you can't go wrong or ever walk away with buyer’s remorse! Addiction is definitely like being on Space Mountain, except it feels like you will never get to exit! Heard a message at church this morning that spoke directly to Mike and I – “At times God uses strange means to accomplish His purposes”. Habakkuk was a prophet at the time of Jehoiakim’s reign and it seemed everything around him was falling apart with violence, injustice and wrongdoing – he wondered if God saw this and why He wasn’t stepping in. God answered by saying to watch and be amazed, that He was doing something that would not be believed even if the plan was revealed (I encourage you to read Habakkuk, its only 3 pages long). We are in the midst of evil acts with senseless shootings and a nation divided on so many fronts. Not only do we live in a society of unrest but some of us live with personal issues of enormous pain and struggles. We wonder why God is not intervening or how long must we live through this? Over and over and over, as Mike and I wrestle with the hurt, disappointment and uncertainty of Kristyn’s life choices, we try to devise plans and come up with answers, but we are continually led back to not our plan but God’s, in His time; allowing God to work His plan and His purpose in Kristyn’s life. I’m reminded everyday to come back to the Bible, come back to prayer and allow God to accomplish His extraordinary plan, that will undeniably not be of anything I did or plan I devised but of His divine intervention. God has plans for all of us if we will genuinely seek Him and allow Him to work. Stay vigilant in prayer, stay humble and treat others as if Jesus himself was standing right there next to you. Blessings are all around, even on the roller coaster that sometimes seems to leave you scared, emotional and in the dark! I end with this (stole from a FaceBook comment): When you know your blessings, life is easy – so simple but so profound! Well, I am here in Monroe! It was quite an emotional and physical journey to get here, and yes, I still miss my home and friends in Florida. The first week was quite disastrous! Mike seems to have “misplaced” my storage bin of hair products. Yep, I said hair products! I hoarded like a chipmunk buying hundreds of dollars worth of hair products thinking I couldn’t find them in Monroe. Mike is not sure if they are in storage or where they might be, nor does he even understand why this is such a problem. I have stuff at my moms, in bags, in storage and now MISSING! My rope was frazzled and I began uncontrollably sobbing in the checkout line at the grocery store because they did not have my brand of milk or things located “in the right place”. The crying progressively worsened as I listened to myself explain to the checkout girl why I was crying! I then realized how truly ridiculous I must sound as the people of Texas endure flooded homes, loss of friends, loss of all their memorabilia, no power and many without food. Then everything becomes perspective, realizing the hand you have been dealt during this particular game may just be the winning hand despite how terrible you feel about things! God has poured blessings into my life and even the “bad days” aren’t bad and can hold a treasure of lessons! I have had the privilege of being in the store daily and meeting so many people in the community. Mike has done and is doing an incredible job of changing the focus and culture here in Monroe – the customer service and true passion behind every shoe fitting and advice is overwhelming. 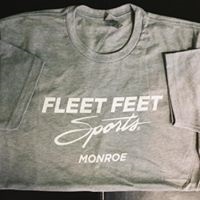 The community is supporting the store and slowly realizing that Fleet Feet Monroe has something unique and genuine to offer. Mike is absolutely invested in the people of Monroe and has a desire for EVERYONE to leave the store feeling like they were treated with kindness, respect and personal attention. So far the weather has been kind to us here in Monroe and I now watch and fear for all my Florida friends. I’m always finding analogies in life when it comes to addiction. It’s like a constant hurricane plan when there is an addict in your life. Recently there have been so many friends and acquaintances who seem to be dealing with addiction in their family – its epidemic and quite frankly, heartbreaking and usually doesn’t end well. The addict is like a hurricane, destroying family, friends, relationships and anything in its path. You try to prepare by putting up the shutters to protect all the repairs made after the initial “storm”. As hard as you try, the hurricane will pass and you think that major damage was avoided but the fear and the unknown of the next potential disaster is always lurking. Sometimes you let down your guard because you haven’t had a major hurricane in years. You see the signs but just don’t prepare because you think this one won’t hit! Addiction is an ugly demon that is always ready to dance. Recently my sister-in-law introduced me to Nar-Anon and I wish I had found this 4 years ago when the demon infiltrated our lives. The mission statement and goal of this group is phenomenal. I will tell you that “detaching with love” is the best and hardest advice I have ever received, but is has helped me weather the many hurricanes. 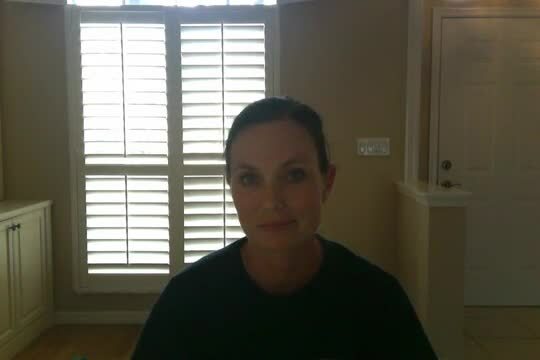 God and a force of prayer warriors is a must when you live life with an addict – there is always the possibility of a hurricane, so you must be able to know God’s hand was over it, whatever the outcome. My first world problem this week has yet to be solved…the hair products are still missing, but now I will not need a single Christmas gift because when (better say “if”) that bin is located it will be like Christmas! I start my new job next week and I am so excited to be back at it! Please continue to pray for the people of Texas, remember to check with your local Fleet Feet to see if they are accepting donations for used shoes and pray for the communities in Florida as Irma is raising her ugly head. I leave you with this - always remember it’s perspective! In ugly, there is usual some form of pretty when God is left in the equation to guide your viewpoint. 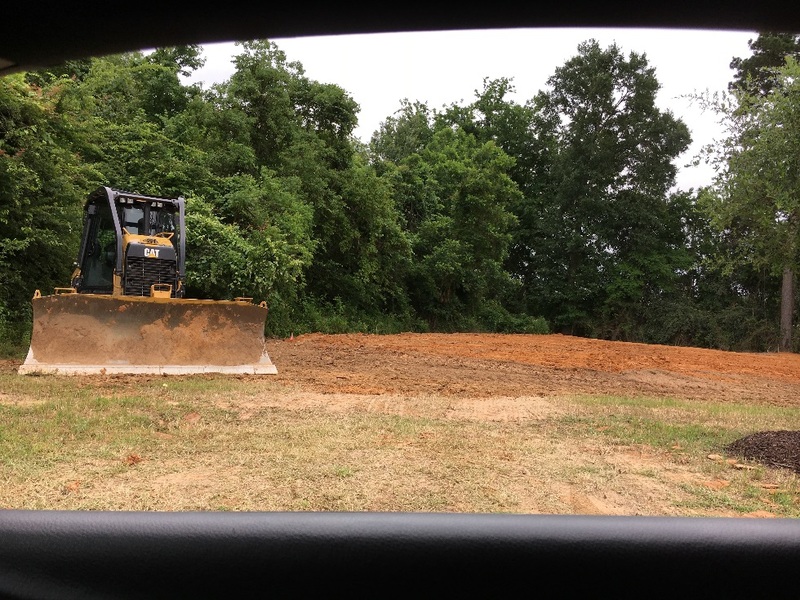 Laying our roots in Monroe continues! I write this today as I sit here among a ton of boxes that contain 14 years of living in this home. I said I wouldn't cling and I was ready to let go, but I find myself crying for a few minutes throughout the day - crying as I pack up old photo albums, crying when I realized I packed all the paper towels and crying as I make the 500th trip to drop off donations. I've given up on mascara and lately I just walk around looking like a hot mess! However, I had to stop and give myself a pep talk that only Sonya can give Sonya: "Stop it, you big baby! This is exciting-it's a new adventure! This is just a house, your HOME moves with you. Memories and family create a home. Now get back in the kitchen and pack up that junk drawer! And, really, Sonya, you get to buy new dish towels and a new duvet...it doesn't get any better than that!" It didn't seem real a few months ago but now as the coountdown to my time in Florida (29 days) begins it is VERY real. The friendships, the "firsts" and the memories made in Florida cannot be cataloged or described. My first job, I got married, I got a step-son, I joined a ladies' Bible study, I became a runner (a whiny, fussy runner), Kristyn's gymnastic years, Ashton's baseball years and our first dog...the list could go on! This feels like the only life I've really known...I grew so much here, in so many ways. I just packed all that up in boxes. It's a bittersweet emotion - it is as if I am standing with one foot on the dock and the other foot on the boat as it is drifting away. I just gotta take that foot off the dock and enjoy the boat ride! As one sweet friend observed, this experience has really "stretched" me. My faith, my need to control, my need to plan and my perfectionist ways have all been put to the test. You can't study for that test so you just cram and GO! As I was packing and taking items out to the trash, I found myself thinkinking how great would it be if I could just take Kristyn's demons of addiction out to the trash or pack them in a box, then tape it shut. How great would it be to rid your home and your life of all the "stuff" that just gets in your way and weighs you down? The battle continues but there have been small victories that would not have happened if we hadn't made this leap of faith with the move. Kristyn found herself at a crossroads in life and forced to make a decision - she remains in the dark but I think now she sees this pinhole of light that represents a life of sobriety. That light, I know, will get bigger and overtake the darkness, one 24 hours at a time and persevering through the set backs. I can with all certainty say "It is a God thing" with any victory in her life. She WILL have a testimony of magnanimous proportions to share with the world one day! 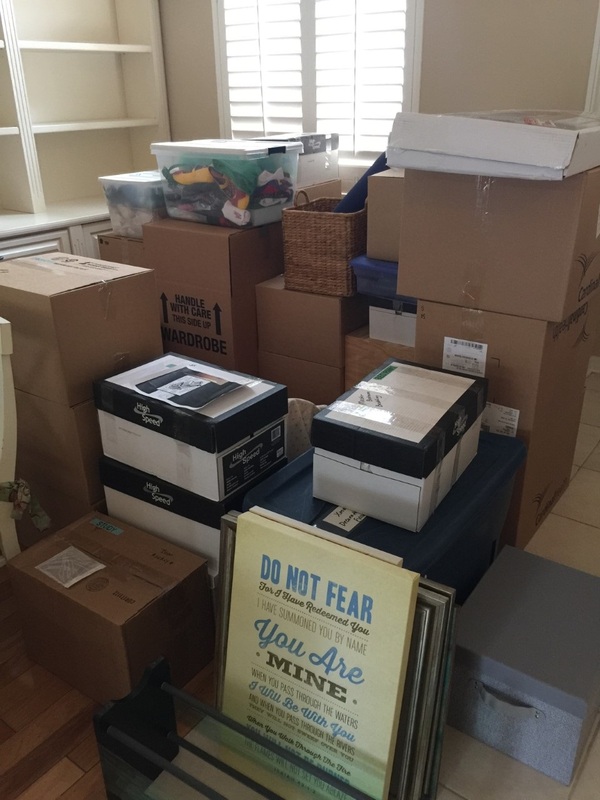 Mike arrives tomorrow- yes, after I have packed up, color-coded and labeled the entire house - to "supervise" the packing of the truck. Our life here is complete, the story has been finished and now we are on to the sequel! Hey, maybe we could be the next reality show: Running Shoe Dynasty or Running With Mayor Sonya...so many possibilities! It's All In A Surprise! The physicians and their wives, the nurse practitioners, our office administrator, and our office CFO.Unforgettable memory forever captured in a picture! I have always thought I could describe pretty much any feeling I’ve ever had, even those hard, bad ones, but as hard as I try I can't find adjectives to describe the overwhelming feeling of love I felt this past week. I have spent 16 years of my career (pretty much my whole career) with Stuart Cardiology Group as their nurse practitioner and now the time is coming very close to ending this chapter. I wasn’t sure how I was going to physically and emotionally leave a place that is my second home. The relationships developed over these 16 years cannot be summed up in a few words or adjectives. My heart exploded with affection, surprise and all other sorts of emotions as I walked into a room filled with my doctors, colleagues and friends on Thursday for a very unexpected surprise going-away party (guess that is why it is called surprise)! 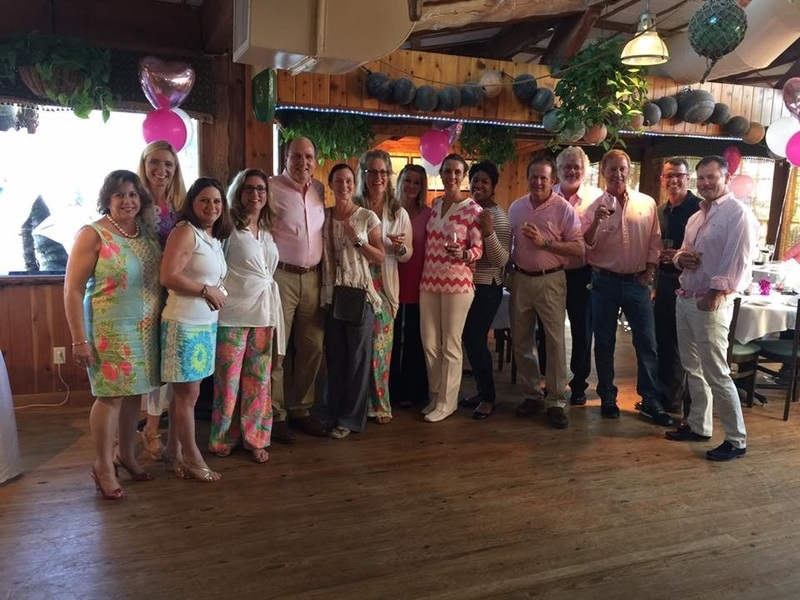 I looked out into a sea of people dressed in pink and Lilly Pulitzer in my honor! That is an overwhelming feeling and humbling experience to see that many people stop their day to celebrate you – to say goodbye in such an unexpected, generous way. I have truly been blessed with the presence of these people in my life all these years and I will always have SCG in my heart, tucked away as a place that I knew I belonged and was accepted. I went to bed that night feeling so loved and I hope that everyone at some point in this lifetime can experience that amount of love and honor. Part of owning your business is the people you surround yourself with, the employees you choose and the manager you entrust – these select people can truly make or break you. Mike has had the blessing of RJ as his store manager. RJ treats the store as if it’s his own– it doesn’t get better than that. Because of RJ, Mike was able to surprise me at me surprise party! There were so many tears that night as I prepared so say goodbye to my SCG family, but also tears that my husband loves and supports my career in every way. Having Mike there for the party was truly the icing on a perfect evening piece of cake! The demon of addiction seems to have a stronger and stronger grip on Kristyn, dragging her into a pit that I sometimes feel is so dark and so endless. People ask all the time, “Why not just cut her off? Why don’t you force her back into treatment? Why don’t you make her go to NA or AA? What are you going to do? How do you live with that?” Years ago, I would have said, “I don’t know, those are all good ideas and I’m not sure how I can do this.” But today I think differently – you can’t force an addict into recovery, it’s that simple. Instead, you stop enabling, you hit your knees in prayer, you put on the armor of God and you get out there and fight the demons for her with God in charge. After the party, we came home to a sobbing, hysterical daughter, so messed up that her friends just dropped her off – she was pale, bluish lips, thready pulse and basically incoherent, but God blessed me by having those friends bring her to me so I could check on her throughout the night and pray over her. She (we) made it through another battle and those demons lost once again – but they will be back. God is doing something in her life and although there is great pain, there is absolute hope. There is nothing he cannot do – this is how we live right now. I close this week’s note saying that I will cherish every memory I have made in Florida, but I had closure this week in a way that makes me now able and ready to move into the next chapter not clinging to the palm tree in the front yard screaming, “Noooooo, don’t make me”. Monroe, I’m coming for you, be afraid, very afraid! You Can't Play On a Seesaw Alone! A rainy weekend so here we are in Florida going stir crazy! An Australian Shepherd locked up in the house for 2 days is not pretty! The good part about walking in the rain is that no one notices that you are sobbing – they just think it’s the rain! Your emotional meltdown is well hidden! Deciding to jump off the ledge into a new state and business seemed brilliant 6 months ago when we thought we would only live apart for a few months. Now it appears we may have had a brain injury when we made those decisions! 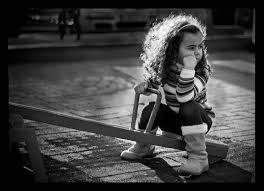 You can’t ride a seesaw with just one person – you will always stay on the ground! When you are on the seesaw together you can have ups and downs and it’s fun! 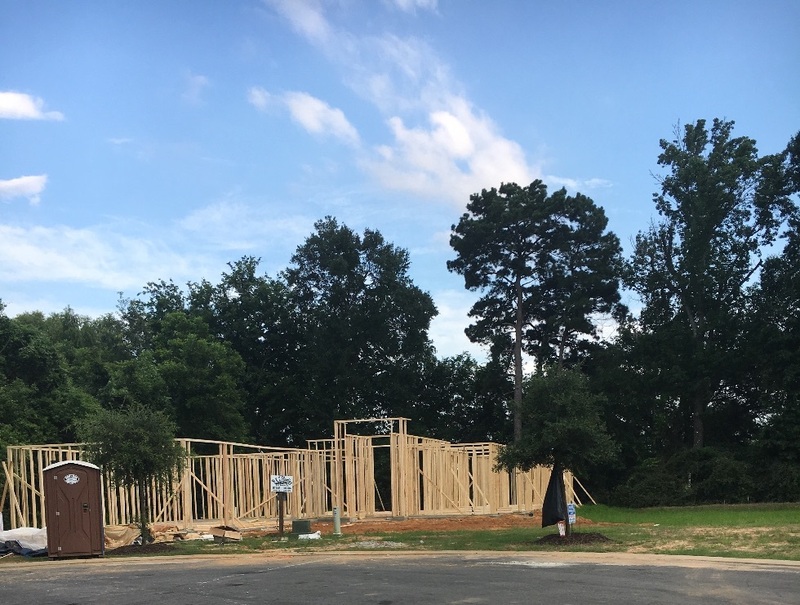 In all of this drama, some parts of life are moving forward with momentum and sunshine: the store is flourishing and the community is embracing the uniqueness and awesome customer service Fleet Feet has to offer, we have broken ground on the house and it appears I have a job there in Monroe (when I ever make it there). I spend a lot of time with Christian music in the car and on my run. I find that it fills your spirit with a hope, calmness and allows for worship with God anytime of the day. As Mike and I stay on the playground of life, me on the seesaw and him on the swing set (yes, he is having all the fun right now!) songs of hope are the mainstay of my day. So, I leave you this week with a great song. We all have “stuff” – some hard, some harder and some so hard you can’t breath, but God is always present, so find that joy in it all and “still sing”. Hopefully Mike will get off the swing set and play on the seesaw with me soon! Hallelujah, You are here and I’ll still sing. Laying A Good Foundation Is Key! My 10 days in Monroe went by like a flash of lightning! It was a fantastic visit and I felt the love of community the entire time I was there. Owning a small business is all consuming, requiring every aspect of your life to be enmeshed in the business you own. You eat, breath and sleep your business. This opening few lines could cause many to say “well why would anyone want to own their own business, then?” You wake up knowing that you are about to make a difference in someone’s day, even their life. You wake knowing that you are building, creating and watching something grow, knowing you did it all…all with hard work and perseverance. Nothing comes easy with a small business, nothing! Mike is an exceptional business owner, but for one, true reason – he followed his passion and his calling. It’s in his bones, his heart. Such a great motivational speech this could be until we get to the part where this business, Mike’s dream has required so much sacrifice including living apart and changing our financial security to financial insecurity. While Mike enjoys sleeping undisturbed, waking to have a cup of coffee, then a morning run with others in the community followed by going into the store doing what he loves and then followed by a nice dinner (prepared by my mom) or a dinner invite with cake from friends, I am here in Florida juggling a 100 plates, walking the dog at 5:00 a.m., going into work at 6:45 a.m., keeping the house white-glove clean for showings, working 12-14 hours (per day, not week! ), taking call…do I need to continue, or do you see the bitterness here?? This week took extra strength as I dealt with the perils of selling a house and maneuvering life with the addict! On Friday around midnight I was awakened by what sounded like a gunshot in my home! I immediately thought “great some idiot is trying to rob me and shot himself!” So with Marley barking and growling I proceeded to confront the intruder with my bare Ninja hands! Luckily I found nothing awry, until walking back into the bedroom and another BOOM - the tile floor buckled up under my feet! Mother of pearl! Was it a water main break? Is my foundation exploding? Is it a large serpent breaking through the foundation? But to make this significantly worse, the open house was in 24 hours! So, I panicked! Called Mike, but guess who was sleeping like a baby, through phone call after phone call! So I just went back to bed, to then be awakened by the daughter, who somehow managed to run out of gas on the side of the road in Miami. With an addict you never know what is going to happen or where they made to impulsively decide to go! When I replied to her that I just didn’t know how to help her she proceeded to attempt to take care of the situation herself. Great – I can get back to sleep. Oh but no - another phone call from the daughter, sobbing, “my hood came flying up and busted my front windshield!” Really? Really? The stories are amazing. I informed her that unfortunately she was stuck there until I could pull myself together from not wanting to disown her, come up with a plan, handle the tile and talk with her Dad! The tornado of bad decisions associated with addiction just keeps ripping through us! It’s Saturday morning by this time and so I head on over to the neighbors, who are sure to be up at 7:30 on a Saturday, with tears and drama. Brad comes over, surveys the situation with the tile, makes one phone call and in 20 minutes I have a tile guy at my house ready to work! It’s unbelievable what can happen when you know people who know people! On a Saturday morning at 8:30, this wonderful tile guy is fixing what he states is just “poor, sloppy work” by whomever laid my tile. Unfortunately they did not attach onto the foundation correctly and it completely unadhered from the foundation! By 1:00 pm I had new tile laid and crisis averted! Ready for open house tomorrow! Open house went well, but unfortunately no promising buyers! I did get a picture of our new home and the dirt with preparation for the foundation – this is where you get the “bring-it-home message” from the above dramatic story! As a wonderful friend pointed out this morning after hearing the sad, dramatic event of the weekend – she made the statement that a solid foundation is so important to the integrity of your “home”. YES, yes it is! If I lose sight of what is important, of what needs to be the foundation of our business and our life then things tart to “buckle” and come unglued (great bible study, by the way – “Unglued”). I’m actually not crying tonight – it will be a good week! I enjoyed some salt water and sun therapy today while my house was NOT selling, making it all okay. I can’t wait to be with my husband so he can partake in the drama along with me! And one last good thing from this week – I likely will have a job offer in Monroe. I am thanking God for his hand in this, especially since I seem to be carrying the family right now (I do point this out to Mike often). No more Ted Baker dresses, we need to eat and pay the bills. God is certainly growing me and shifting my priorities whether I like it or not. Growing “pains” are truly a sign of growth. It's like having a park hopper at Disney and every day is a new ride…some scary, some really fun and some taking your breath away. That sums up the last couple of weeks. The contract on the house fell through so here I stay, continuing to fluff pillows, put the toaster away and leave no evidence that people (or a dog and cat) live in the house so the showings can resume! Living apart is truly hard; maybe harder for Mike since I have Marley with me, but I will be excited to jump into the adventure in Monroe holding hands! Just in case anyone is wondering, I have settled on brick and stucco AND paint colors - I told you it was a big week! The best event of the past two weeks, however is how wonderfully the community has embraced the store. 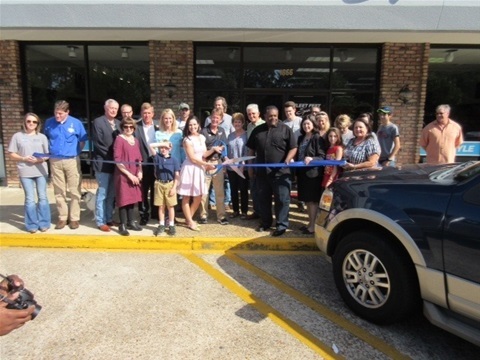 The ribbon cutting was Friday, where we had family support, community support and support of the local politicians, including the Mayor and State Senator (it helps that he goes to church with Mom-could be sinful not support his sister in Christ). The grand re-opening was Saturday and WOW! I really have no words for what a success the day was, not just in sales but more in the fact that the community came out and showered us with support for a local business - it was exhilarating to see the number of walkers and runners that are emerging in the community. I see big things for Monroe - a community embracing the desire to become healthy and seeing the joy in friendships developed through a mutual interest in fitness! Tomorrow night is the monthly fun run and I get to participate! I was so excited thinking that my wonderful husband probably planned the run as a celebration of my birth (since my birthday is Sunday) but I have realized otherwise - as I said earlier it's a roller coaster; I was up, but now I'm down realizing the run isn’t focused on me! Despite the lack of attention for my birthday, I am super excited about joining this local community and who knows, maybe in a couple of years I could be writing this blog as Sonya Fronsoe, Mayor of Monroe! And then it happened – God sat me down and put me right back in my place! I was driving to chick-fil-a for lunch and noticed a homeless young man. Then the epiphany – PULL YOURSELF TOGETHER, Sonya Rae! 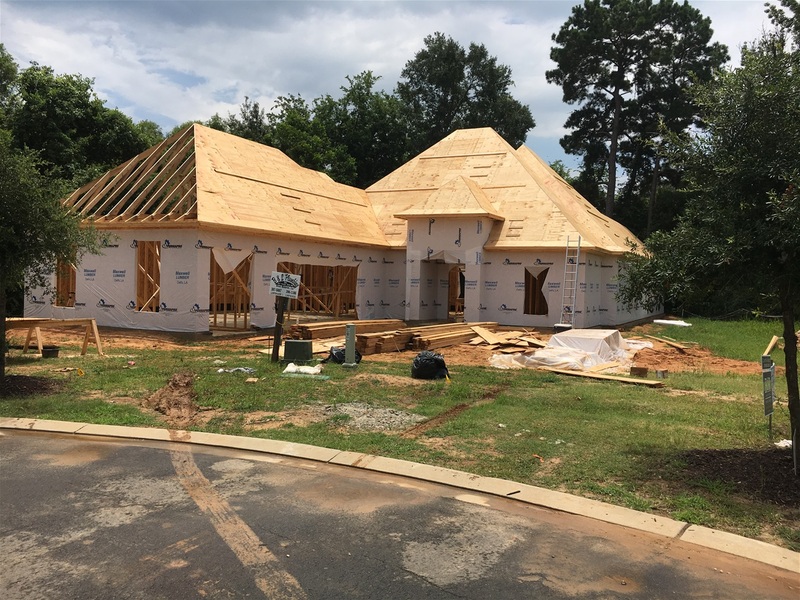 How abundantly taken care of I am that God blessed me with decisions that go along with a new home, the sell of the old home and amazing friends that support my insanity! I brought lunch to my homeless friend and silently asked God to forgive me of prideful, ungrateful behavior. Give it a listen – it will be a blessing if this is a time of storm in your life! Mike says the store is continuing to “come along”! The first fun run was a huge success and Mike remains filled with excitement with all the potential in Monroe for developing and creating a strong, healthy walking/running community. He continuously describes all the wonderful people he meets day after day and assures me that “this is the right place”. Now we move forward to the next step – packing, closing our life up here and permanently moving to our new life. Let's just say I’m envisioning something great in Monroe, some opportunity to give of myself, to make God proud! So onto a new week with no further thought about brick – I mean the worse case is my choice was heinous, but at least I will have protected others from jealous or a covetous attitude when they pass our house – I will smile knowing I helped them avoid those unchrist-like thoughts. It’s not the house but the home and family represented that really matters! Yep…one month has passed since Mike opened Fleet Feet Monroe. I'm still here in Florida, with Marley, the house up for sale, working full-time and dealing with basically everything! Oh my - do I sound bitter and unhappy? I am some days. Some days I want to just lie down and pitch a fit! Some days I talk myself right out of being a brat and to look around and realize how great and exciting this move will be! The store is doing so well and Mike cannot stop smiling and talking about all the great moments...this makes the decision clear! I hope all of you Monroenians have stopped by the store! It’s amazing how Mike has transformed the place! The pictures now hanging in the store of local places and runners are fantastic! If I weren’t a walker/runner, I would be after seeing that store! Still such learning curves owning your own business, but the rewards are priceless. Mike is adjusting to life in the South and living with my mother (bahahaha – that will teach him to turn our life upside down!). Life is slower there but its so obvious that people just take time to enjoy everyday and “chatting” with one another – your Starbucks will not be quick, so look around and find someone to talk to, it is much less painful as you wait…and wait for your peppermint mocha!